""Guarapo"" is Latin for Sugar cane juice. 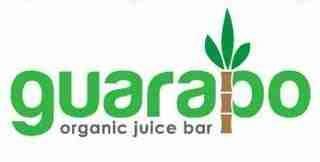 Guarapo Juice Bar in Miami features all natural, organic, blended fruit & vegetable juices as well as power protein smoothies, salad bar, soup of the day, wheat grass shots and a variety of protein & natural supplements! Add some ""Guarapo"" for all natural sweetness!